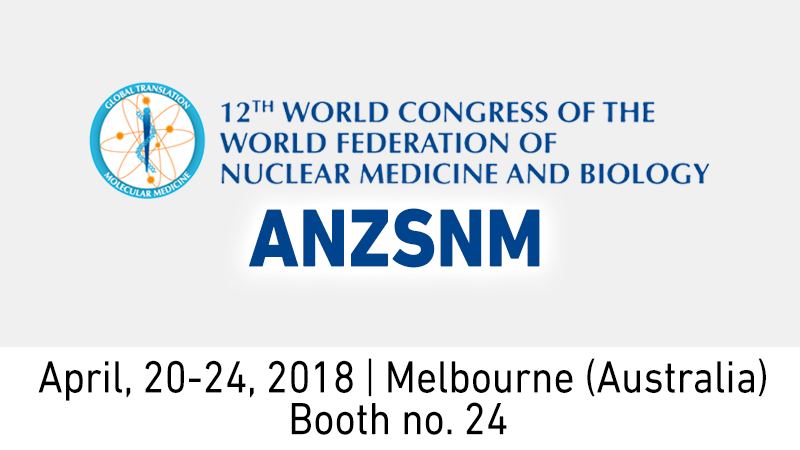 Comecer is exhibiting at the Annual Scientific Meeting of the Australian and New Zealand Society of Nuclear Medicine (ANZSNM) combined with the quadriennal World Federation of Nuclear Medicine and Biology (WFNMB), happening at the Melbourne Convention & Exhibition Center . First of all, we are proud to announce that our customer SAHMRI (South Australia Health and Medical Research Institute) will be exhibiting a poster about the Alceo production results titled “Production of 64Cu, 89Zr, 68Ga and 45Ti in a cyclotron, using the Comecer ALCEO solid target” and will be allocated to the Saturday Poster Session P170 (Radiopharmaecutical Science). IRIS, an automated multidose injection system, compact and easy to handle thanks to its innovative design and autonomous battery power. This radiopharmaceutical injector performs calibrated injections to patients, starting from a multi-dose solution of FDG or other radiopharmaceuticals. Argo-T, our closed vial dispensing system. This dispenser is able to fill a vial through rubber stopper piercing, dispensing radiotracers used in PET and SPECT diagnosis and therapeutic radiopharmaceuticals. We’ll be in Stand #24 and, if you wish, you can setup an appointment to chat with our experts by filling out the form below. We’re looking forward to meeting nuclear medicine physicians, radiologists, medical imaging trainees, physicists, scientists, technologists, nurses, and the broader medical and scientific community.